Mike Illitch passed away today at 87. Mr. Illitch will be sadly missed. Mr. Illitch was Detroit's biggest cheerleader and invested so much back into the city he loved, Detroit, Michigan. 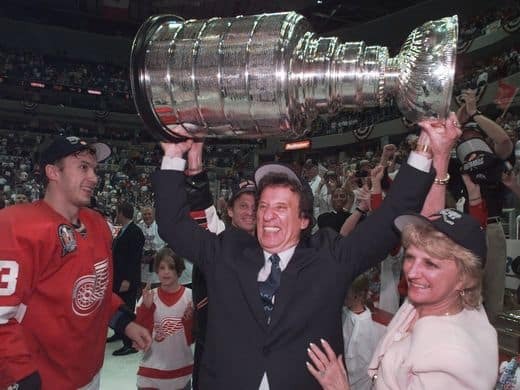 Mike and Marian Ilitch hoist the Stanley Cup on June 16, 1998 in Washington, D.C. after the Red Wings won their second consecutive NHL title by sweeping the Capitals. Vyacheslav Kozlov is at left. Before his death, the Ilitch organization had embarked on a massive $1.2-billion District Detroit project, transforming dozens of blocks of largely vacant land in downtown Detroit into a vibrant neighborhood that will include office, retail and residential spaces, as well as the new Little Caesars arena. The project will continue under the leadership of his son, Christopher Ilitch, who became president and CEO last year, amid reports of Mike's ailing health. Ilitch was at the center of Detroit's downtown redevelopment efforts; he purchased and renovated the Fox Theatre and relocated his business headquarters (Ilitch Holdings) there. He also owned Olympia Entertainment. He bought the Red Wings and brought them back to life. 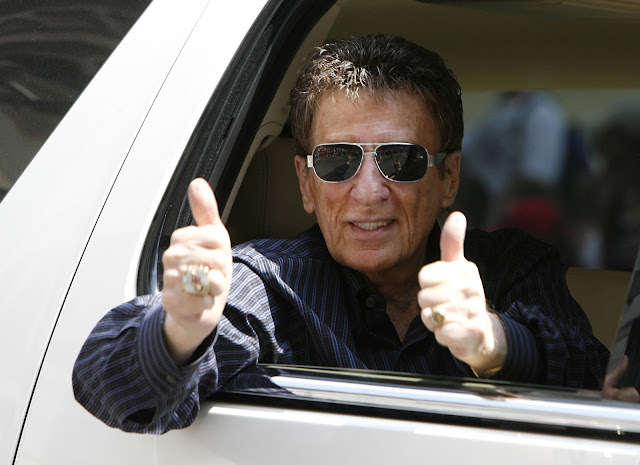 Then when the Tigers were suffering under the ownership of another pizza mogul, Illitch bought the Tigers. The fans rejoiced! SUN RECORDS NEW SERIES BEGINS TONIGHT ON CMT! ★FARGO★ SEASON 3 PREMIERES APRIL 19 2017!! TOP 5 HOTELS IN DETROIT! THE ST VALENTINE'S DAY MASSACRE OF 1929! SIMON'S CAT: MY NEW FAVORITE CARTOONS! DOLLY PARTON WIN 8TH GRAMMY AWARD! SOCK MONKEY: THE TRUE STORY! QUEEN ELIZABETH II CELEBRATES SAPPHIRE JUBILEE! MARC ALMOND: HITS AND PIECES GREATEST HITS TOUR! NEW RELEASE FROM ROBBY KRIEGER OF THE DOORS!